Happy Monday! Yes, it’s the day after Super Bowl. Some of us may have indulged in hearty finger food and maybe some cocktails this weekend, so I thought let’s start with something healthy and delicious this week. 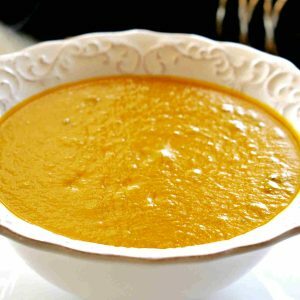 The weather is cold, so a nutritious, sweet and savoury velvety soup is perfect! 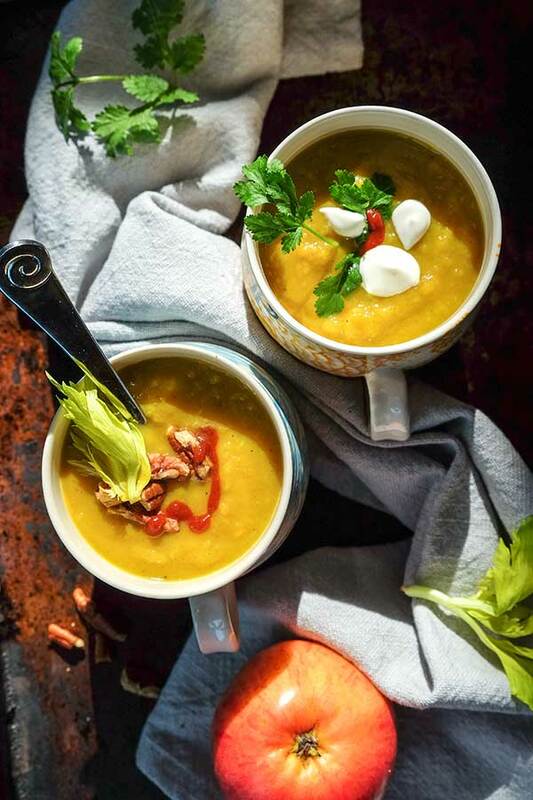 The comforting combination of silky sweet potatoes with tangy apples  make this soup tasty and satisfying. 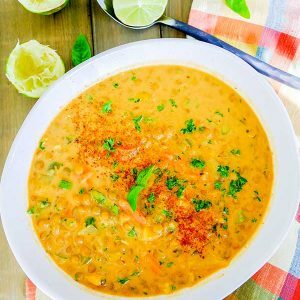 I used spices such as curry powder, cinnamon, nutmeg and fresh ginger to enhance the flavour of this delicious vegan soup. 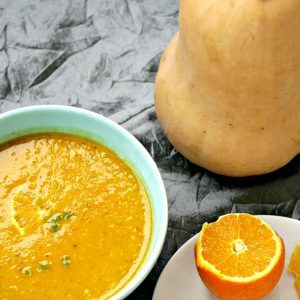 This sweet potato and apple soup is packed with vitamin A, C and fiber, but the best part, the soup is low in calories only about 140 calories per cup and has virtually zero fat. Double the recipe and enjoy a delicious hot cup of soup at work or school this week. I promise you, this gluten-free soup will keep your hunger at bay without the extra calories. Add sweet potatoes, apples, carrots, stock and season with salt. Bring to boil and reduce to simmer. Cover and cook for 30 minutes until the sweet potatoes are soft. Using an immersion blender or a high-speed blender, puree in batches until smooth. If the soup is too thick, add a little more stock or water.